Jarrett Mitsuhiro Takaki, age 19, is a sophomore at the Cleveland Institute of Music, in the piano studio of Antonio Pompa-Baldi. Jarrrett has found that through music, he has the ability to inspire audiences to support those in need. As such, he participated in a benefit Master Class with Gerardo Teissonniere at the Cleveland Steinway Piano Gallery. Proceeds were donated to the victims of Hurricane Maria in Puerto Rico. With fellow pianists in the studio of Sueanne Metz, he co-founded a not-for-profit organization, “88Keys for Cure.” Through performances and benefit concerts, the organization has raised over $20,000 which has been donated to the NICU at Lurie Children’s Hospital and the New Surgical Innovation Lab at the University of Illinois. Most recently, Jarrett was a prizewinner in the 2018 Chicago International Music Competition and the ENKOR International Music Competition. While in the studio of Ms. Metz, Jarrett performed with the Philharmonic Orchestra of the University of Alicante in Perugia Italy, the Oistrakh Symphony of Chicago, the Harper College Symphony Orchestra and the MostArts Orchestra at Alfred University in New York. He was a prizewinner in the 2017 YoungArts Competition, the 2017 IIYM International Piano Competition, the New York Piano Festival and Piano Competition, and the concerto and solo piano division of the 2016 American Prize National Competition in the Performing Arts. In the summer of 2016, Jarrett won the Grand Prize in the Senior Solo and Concerto Divisions of the Indiana Carmel Klavier International Piano Competition. 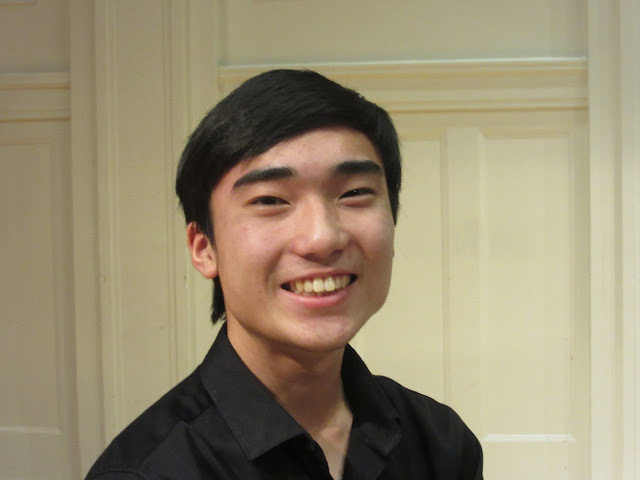 He has received first place awards at the DePaul University Concerto Festival for Young Performers, the American Fine Arts Festival International Piano Competition, The Walgreens National Concerto Competition, the Emilio Del Rosario Concerto Competition, The Lee Piano Competition at Augustana College, and the Tennessee Tech Young Artist Piano Competition. In 2012, Jarrett won second place in the Junior Division of the Cleveland International Piano Competition and was a finalist in the 2013 Yamaha USASU International Piano Competition. He has performed at Weill Hall in Carnegie Hall, Symphony Center, Daley Plaza, Bennett Gordon Hall at Ravinia Park, the Sala De Notori in Perugia Italy, the Tarkington Center and the Palladium at the Center for Performing Arts and Warner Hall at Oberlin College. He has performed in master classes by Steven Spooner, Michael Lewin, Gerardo Teissonniere, Barry Snyder, John McCarthy and Jack Weinrock.